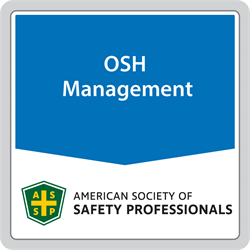 This standard defines minimum requirements for an occupational health and safety management system. The primary purpose of this standard is to provide a management tool to reduce the risk of occupational injuries, illnesses and fatalities. The design of ANSI Z10 encourages integration with other management with other management systems to facilitate organizational effectiveness using the elements of Plan-Do-Check-Act (PDCA) model as the basis for continual improvement. While the scope of ANSI Z10 covers occupational health and safety, it can also be used to support other initatives such as social responsibility and sustainability. The adoption of Z10 fits well with organizations desiring long-term sustainable growth in a socially responsible manner by reducing injury and illness and improving overall employee well-being. ASSP does not accept returns on standards, either digital or hardcopy versions. Please read the sales page of the specific standard of interest and review the scope and table of contents to ensure applicability to your needs. If your concerns are related to the quality of a standard, please contact ASSP Standards Development staff.